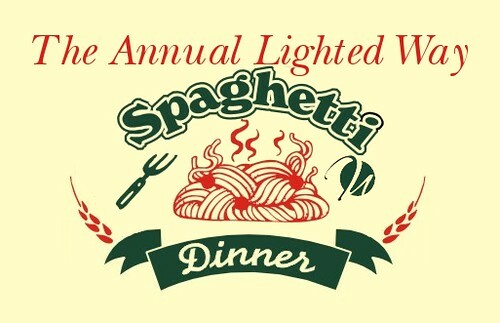 We want to remind everyone that coming Monday, April 8th we will be hosting the annual Lighted Way Spaghetti Dinner here at the Uptown Grill. This will be the 12th year that we have hosted the event, and it is something that we look forward to every year. Keep in mind we will be open for normal business hours from 11am to 3pm but from 4:30 to 8:00 we will be serving spaghetti, fresh baked bread, salad, coffee and cake for a donation of $8.00 per plate. Come one, come all! What is amazing about this yearly event is that all of your charitable dollars stay local, right in the Illinois Valley for the Lighted Way Foundation located in LaSalle. Lighted Way has been a local private day school that has catered to students with developmental disabilities since 1957, and this is their major yearly benefit. Either dine in or carryout, please come help support this great cause. The proceeds made from the Spaghetti Dinner will be put into the Lighted Way foundation and dispersed to meet the needs of its students. For those of you unfamiliar with what your donations go towards, The Lighted Way currently enrolls over 30 students ranging in ages from 3 to 22 years old. These students are taught by certified special education teachers, and additional care is provided by teacher aides. Lighted Way has extensive programs geared towards engaging its students both educationally and therapeutically: music, occupational, physical, speech and language. The Lighted Way teachers also provide their students help to develop skills in the areas of self-help, social, readiness, independent living, motor, perceptual motor, and computer with additional training in physical education, augmentative communication and vocational preparation. Over the course of the last 12 years, we have served over 25,000 plates of spaghetti and helped raise over $180,000. Each year, we have a very dedicated staff from both Uptown Grill employees and volunteers to those employees and volunteers from the Lighted Way. We always have a great turnout of help dedicated to serving our community. It is always a wonderful night with a packed house serving plate after plate of pasta knowing you're working towards a goal of helping this great cause. We are a community coming together to make this such a success. Thank you all for your past help and donations and we look forward to seeing you all again this year! I wanted to participate last year, but it didn't work out. I'm looking forward to this year though!